When it comes to keeping a business on track, time management software cannot be overlooked. Time is money, and if you're not recording it properly you won't be able to pay employees their due nor will you be able to invoice your customers properly. On top of the regular timesheet features in the base accounting software, ABM has the option for an additional jobs and timesheeting module. What benefits can it add to your business? Keeping on top of costs requires you know exactly what's going into a product in terms of both materials and labour. If you're not tracking time carefully, it can be easy to misunderstand what a product actually cost you to make, and therefore what you need to charge for it in order to profit. Job tracking also helps you learn how long jobs take, and gives you the opportunity to look for points in the production that can be improved. 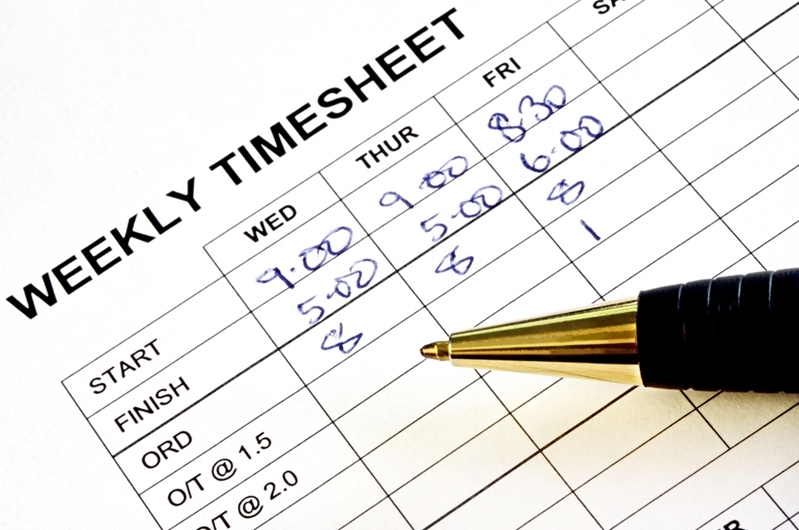 Timesheet software can make tedious manual solutions a thing of the past. With ABM's Time Management System (TMS) module, billing customers becomes a breeze. No more copying data from spreadsheet to spreadsheet or trying to get your disparate systems to work properly together. All the data from the timesheets and job tracking can be utilised in the billing section for accurate customer invoicing, with pricing structures pre-applied for automatic calculation of costs. In a large production process, it can be difficult to keep an eye on each individual's personal productivity. With accurate timesheet software that's integrated with job tracking, seeing not only the hours your employees are putting in but their productivity is easy. Productive employees deserve to be rewarded and less productive employees may need assistance to get them up to speed - but if you're not aware of who is who, taking the proper response is difficult. Giving a quote for what a job will cost a customer is an important part of getting work for many businesses. But if you're unaware of what the job will cost you, quoting at a competitive rate will be difficult because you don't know what your exact margins are. With TMS, you can use the historical data to develop your quoting practices to become much more accurate. To learn more about Advanced Business Manager and how it can benefit your business, request a demo today. A member of our team will walk you through the features that'll be most valuable to your business.